Chairman Blunt, Ranking Member Cantwell, and distinguished members of the Subcommittee, thank you for the opportunity to testify today. 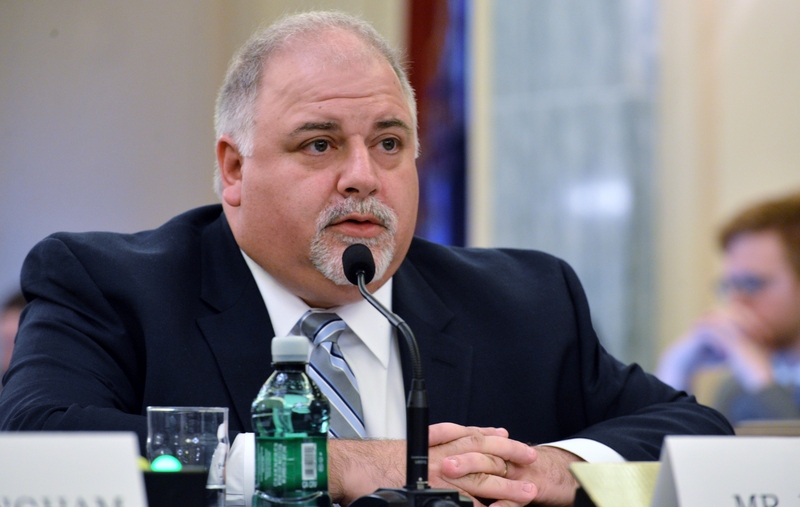 My name is Greg Fedele and I appear before the committee representing an aviation business focused on many aspects of aviation, including general aviation, commercial aviation, and military aviation as an Original Equipment Manufacturer (OEM), a Maintenance Repair and Overhaul (MRO) provider, and an Engineering Services provider. Innova Aerospace started with the acquisition of Sabreliner Aviation. The Sabreliner name holds a significant place in aviation history. The Sabreliner aircraft was first developed by North American Aviation in 1959 as the T-39 Trainer for the US Air Force. In 1963, the Sabreliner was developed into a commercial variant that was the world’s first twin-engine business jet. From 1963 to 1986 over 800 aircraft were built, most of them in Perryville, Missouri. After production ceased, Sabreliner continued to support the fleet and several other types of aircraft as a Maintenance, Repair, and Overhaul facility in Missouri. To date, Sabreliner has two Type Certificates, and has developed and owns 282 Supplemental Type Certificates. In 2015, Innova Aerospace acquired Sierra Industries in Uvalde, TX. Sierra’s main focus was as an MRO facility, however, over the past twenty years, Sierra developed and introduced to market 296 Supplemental Type Certificates mainly for performance and enhancement modifications of Cessna Citation jets. However, they also designed and developed many STCs for large commercial aircraft. Sierra has performed Engineering Services helping OEMs certify engines in new and used aircraft. In addition, Innova acquired the SkyPlace Fixed Base Operation (FBO) at the San Antonio International Airport where we perform FBO services along with MRO services for several different types of aircraft. This has become the corporate headquarters for Innova Aerospace. Innova has also recently committed to a large capital investment towards the expansion of aviation related facilities at the airport. For the past 18 months, Innova has been designing and preparing for certification the world’s first all composite light single gas turbine powered helicopter, the C630. Originally designed and developed in New Zealand, the initial intent was to certify the helicopter with the New Zealand CAA, with a shadow program performed by the FAA for validation once the helicopter was certified. Innova made the decision earlier this year to move the program from New Zealand to San Antonio and change our focus to an initial certification with the FAA. The program is in the process of being reconstituted in the US, with an in house and external US team of engineers, designated engineering representatives (DERs), and certification experts with a target date of certification of 2019. Overall, Innova Aerospace employs several hundred people in the aviation industry in Missouri, Texas, Colorado, Massachusetts, and Florida. We have the distinction of re-engining more jet aircraft than any non-OEM. We are currently leveraging our expertise in avionics, engines, and structures as we invest heavily in several major retrofit STC programs. Innova is committed to long term growth in the aviation industry, has a solid backing to invest in the future, and intends to continue to make additional acquisitions where it will support and strengthen our long-term growth plans. As you are all most likely aware, current engine and avionics technology have improved dramatically from what was installed when most aircraft flying today were developed and sold. With the correct care and maintenance, the fuselage of an aircraft can last many decades. However, other aspects of the aircraft need to be upgraded for efficiency, capability, government mandates, and safety. For instance, fuel consumption of older gas turbine engines are not as efficient as what we see today and need to be replaced. The round dial cockpits of yesterday have been replaced in new aircraft with beautiful large glass displays that are more reliable, easier to maintain, and provide much more capability improving safety by increasing pilot situational awareness and reducing pilot workload. Also, older Cathode Ray Tube displays are becoming obsolete and spare parts are becoming more difficult to find, leading to aircraft on ground (AOG) situations due to unavailable parts. Lastly, many aircraft are not compliant with the FAA NextGen mandates that are quickly coming upon us. Certification reform can have a positive impact on all these initiatives. Innova is currently developing with our Honeywell/BendixKing partner two major cockpit retrofits that replace obsolete parts, bring modern technology to the cockpit, and satisfy all mandate compliance needs. These are significant investments by both Innova and Honeywell/BendixKing creating STCs for the Beechcraft King Air 90 and the Cessna Citation 560 Series aircraft. We also have plans to expand these products into other aircraft in the near future. Innova is also working on three major engine retrofit STCs. We currently own an STC to re- engine the King Air 90 with General Electric’s H80 engine, and are now modifying that STC for even better performance and ease of installation. In addition, we are working with Williams International to re-engine the Cessna CitationJet and Cessna Citation V and Ultra. These programs replace the current engines with more environmentally friendly and efficient engines bringing lower fuel burn, improved maintenance, and longer range to the aircraft. The Innova focus on retrofits and modifications will be leveraged from these initial programs to larger business jets, commercial aircraft and military applications. The value we can bring to a customer by extending the life and improving the performance and safety of an aircraft versus acquisition of a new aircraft, is exciting. However, every opportunity we have in front of us will require an FAA certification approval before we can bring the opportunity to market. Another key priority from Innova Aerospace’s perspective is our ability to deliver products to our customers in a timely and efficient manner. We have very deep contact with the FAA, through the Flight Standards District Offices (FSDO) that manage and support our Repair Stations, the Manufacturing Inspection District Offices (MIDO) that manage and support our Production Certificates, and the Aircraft Certification Offices (ACO) that manage and support our retrofit and modification projects. Our ability to do business depends on the FAA’s timely approval of our design and production systems which manifests in the awarding of Type Certificates and Production Certificates for our new aircraft programs along with Supplemental Type Certificates for our modification programs. We respect the role the FAA plays and we respect the people we work with. One approach many companies and FAA use to manage certification programs in a more effective and efficient manner is an Organization Designation Authorization (ODA). This has benefits to the FAA and companies by better leveraging both public and private resources. Today, Innova Aerospace does not hold an ODA. However, to meet our business needs we have decided to utilize another company with an ODA to better manage the schedule for our projects. While this may appear to be a costlier approach, our analysis is that by using an ODA, we can limit project delay and costs, and therefore, have decided to trade dollars for schedule certainty. As a small business, our margin of error to schedule is narrow and our customers demand performance. A significant schedule delay and the costs associated can have a significant impact on our business. If the ODA’s authorization is not being fully utilized by FAA for our programs, it will impact costs, schedule, and our customers. Furthermore, even if we were not utilizing ODAs in this manner, we recognize the importance of them being effectively used since it will allow FAA to focus more of their resources on small businesses like ours that are trying to move through the certification process. We recognize the long-term the advantages of an ODA, and for the past two years we have been investigating and preparing for the rigorous application process of becoming an ODA. For us to justify the investment, we need to first achieve critical mass in our programs. The investment is so great, along with the cost to keep the system up and running, that it will take time until we have grown to the point where our own resources and capabilities support an ODA. As a board member of the General Aviation Manufacturers Association (GAMA), I am aware that many manufacturers who have spent significant expense and effort to become an ODA did not see adequate benefits. Industry and the FAA are aware that improvements are needed to take fuller advantage of the system and are working collaboratively to that end. Innova supports intense focus on ODA efficiency. We look forward to working with the Committee on this important issue. If you can help us bring efficiencies through reform, the industry will respond with growth and improved safety technology. If costs can be reduced, and efficiencies enhanced, it would help Innova move towards proceeding to become an ODA which would benefit my and other companies and help FAA increase the effectiveness of their safety oversight. As I said before, as we are investing in our programs, unforeseen delays can be devastating for several reasons. As for any business, we need to see a return on our investment as quickly as possible. Delays due to the FAA having limited resources, varying direction, and/or interpretive requirements can significantly lower our return as the revenue from a project is delayed. Additionally, one of our major programs addresses compliance with an FAA safety mandate. By design, these programs have a shelf-life because we must complete these programs in a timeframe to allow customers to take advantage of our solution for mandate compliance. If our programs were to be delayed beyond a mandate compliance date, there is potential that the investment could be wasted as customers will find other solutions or decide to stop flying the airplane altogether. Aviation is an incredibly competitive, global marketplace and first to market is essential for many of our projects. In our industry, there are many ways to solve a problem for our customers. Those who have the idea first should be rewarded. Unfortunately, a good idea can be squandered if the implementation of that solution is not timely. As one solution is being certified, others may enter the market, and for many different reasons may even get to market faster if their certification program is completed more efficiently. Our STC programs address thousands of aircraft that are flying all over the world. Once certified by the FAA, our products are ready for introduction into the marketplace. While the majority of the aircraft our products address are US-registered, there are several hundred aircraft all over the world that can be addressed with our modifications. Innova is developing all our modification programs as kits. This approach allows us to ship kits worldwide for installation either at a maintenance shop or in the field. We have designed these kits specifically because we want to make it easier for our customers to take advantage of our products. FAA’s international relationships with foreign civil aviation authorities and the establishment of agreements to facilitate efficient processes for acceptance and import of FAA certified products and STCs is paramount to the success of our business and other US companies in the industry. Our C630 helicopter will receive an FAA Type Certificate (TC). The initial market for the helicopter will be training, tourism, and general utility. As a gas turbine helicopter, the C630 will operate all over the world wherever Jet-A fuel is available. While we expect significant orders from the United States, we are expecting orders worldwide. The demand for validations of the FAA TC from other countries and turn times can be very long and costly. I am not aware of any FAA certified aircraft that has not been accepted or validated by any country in the world, yet even with this safety record, we often face significant delays in getting our projects validated in other countries. This is a high priority for industry and a focus of the FAA and we would appreciate any support you can give us to address these challenges. In our industry, safety is the absolute. Anyone who works in this industry knows that accidents and incidents still sometimes happen, however, we do everything in our power to make sure our customers are safe. I truly believe that as we look to improve the efficiency and effectiveness of the certification process, we need to incorporate risk analysis tools and techniques to inform the level of involvement of FAA’s limited resources. We need to drive consistent decision making and eliminate redundant activities throughout the system. As I discussed earlier, Innova is currently working on a new cockpit upgrade for the King Air 90. This cockpit uses the BendixKing AeroVue system which is an Electronic Flight Instrument System (EFIS). The BendixKing AeroVue system—a commercial off the shelf system—was not specifically developed for the King Air, and has been installed in several other aircraft types. The FAA-approved ODA procedures manual does not require a Project Notification Letter to the FAA for this type of project. This is very good for our program because it means all processes and authorizations are fully delegated to the ODA and that FAA participation is not necessary. Despite all of this, the local FAA office required the ODA to submit an Issue Paper explaining this system which has already been certified on several other aircraft before. The issue paper turnaround time is typically 60-90 days and could be much more which adds delays and uncertainty. The impact to our program is still unknown, but it has added schedule risk. This appears to us as an area where a more effective risk-based safety oversight system would be beneficial and the FAA’s time and resources better applied elsewhere. 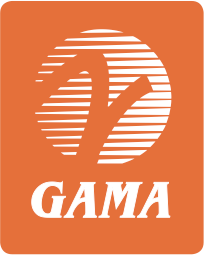 As a GAMA member, Innova supports the efforts of GAMA, AIA, and the FAA to work towards a more effective and efficient certification and regulatory process. We believe the development of the ODA scorecard and the Aircraft Certification Service (AIR) transformation initiative, if effectively implemented, will bring real benefits. Innova also supports the certification title passed by the Senate in 2016 as part of the Senate FAA Reauthorization bill. This would help support FAA certification reform by addressing the key issues I have discussed in my testimony – fully embracing the ODA authorization to the benefit of industry and the FAA, directing FAA engagement and leadership with other aviation authorities to help facilitate efficient validation and acceptance of FAA safety standards and product approvals globally, and ensuring an effective risk-based aviation safety system. We believe these reforms need to be passed by Congress and signed by the President this year to have maximum impact. Chairman Blunt and Ranking Member Cantwell: thank you for the opportunity to talk about the aviation industry and certification from a small company perspective. Innova’s overall vision is that we can create value for aircraft owners and improve the efficiency and safety of their aircraft over the short and long term. We anticipate rapid growth as we believe this business model is applicable to all aircraft owners from private aviation to commercial and military. We are excited about the opportunities this brings and becoming a leader in the aviation industry while bringing significant employment opportunities in the future. I value the opportunity to speak to you as a business leader of a growing company that does all its work in a federally regulated system. We appreciate your focus on aviation manufacturing and look forward to working with you to bring meaningful change and improve safety, industry competitiveness, and exports. Watch the archived webcast of the hearing.